You're off to Great Places! Today is your day! Your mountain is waiting, So, get on your way! 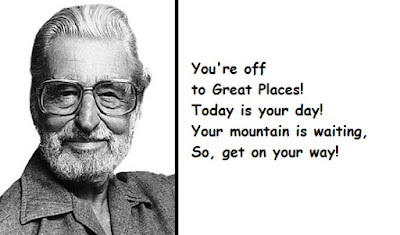 This Quotes is from the Book of "Oh, The Places You'll Go! ", Book by Dr. Seuss.